Status Quo is one of Britain's longest-lived bands, staying together for over 30 years. During much of that time, the band was only successful in the UK, where they racked up a string of Top Ten singles that ran into the '90s. In America, the group was ignored after they abandoned psychedelia for heavy boogie rock in the early '70s. 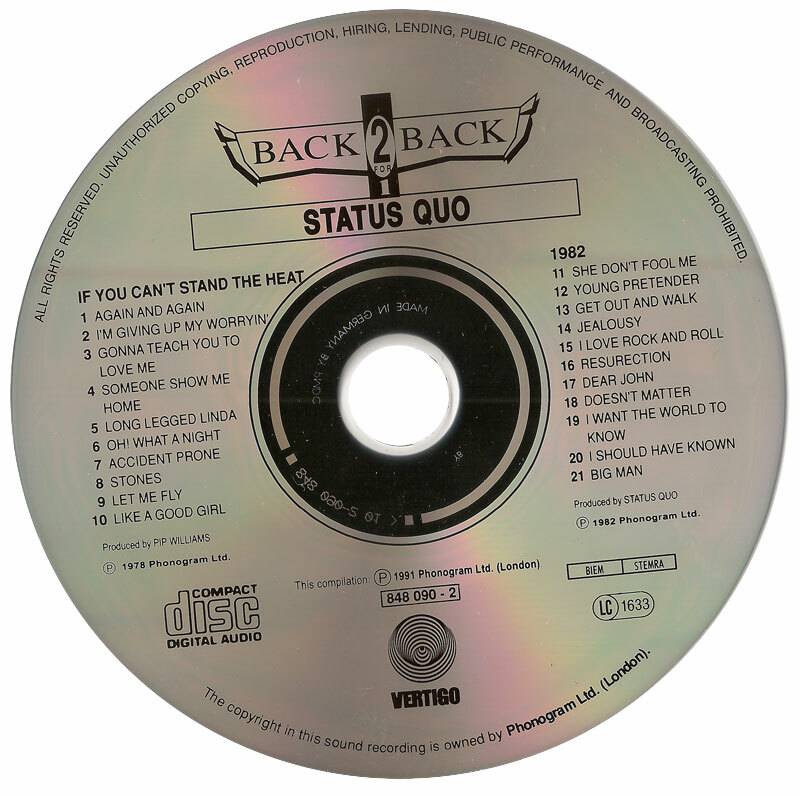 Before that, the Quo managed to reach number 12 in the US with the psychedelic classic "Pictures of Matchstick Men" (a Top Ten hit in the UK). Following that single, the band suffered a lean period for the next few years, before deciding to refashion themselves as a hard-rock boogie band in 1970 with their Ma Kelly's Greasy Spoon album. Over the next 25 years, the Quo have basically recycled the same simple boogie on each successive album and single, yet their popularity has never waned in Britain. If anything, their very predictability has ensured the group a large following. For the next year, Status Quo tried to replicate the success of their first two singles with similar psychedelic material, but they had little luck. Finally, they revamped their sound – and jettisoned organist Lynes – in the summer of 1970, debuting their new heavy, bluesy boogie rock with the single "Down the Dustpipe." The single reached number 12, yet the full-fledged hard-rock album Ma Kelly's Greasy Spoon didn't gain much attention. 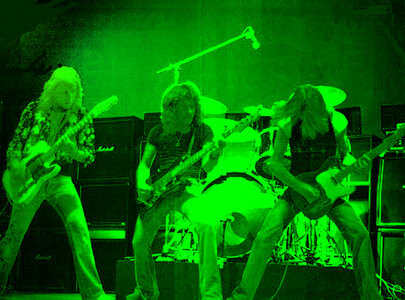 Status Quo began playing concerts regularly across England, slowly building up a strong following in England. Following well-received sets at 1972's Reading and Great Western festivals, the band became a hot property. The group signed with Vertigo Records and their first single for the label, "Paper Plane," cracked the Top Ten in early 1973, while their first album for Vertigo, Piledriver reached number five. Later that year, Hello entered the charts at number one, while its accompanying single "Caroline" reached number five. Also in 1973, keyboardist Andy Bown, formerly of the Herd and Judas Jump, became the band's unofficial keyboardist. Throughout the '70s, each album Status Quo released went into the Top Five, while their singles – including the number one "Down Down" (1974), "Roll Over Lay Down" (1975), "Rain" (1976), "Wild Side of Life" (1976), and a cover of John Fogerty's "Rockin' All Over the World" (1977) – consistently hit the Top Ten and frequently went gold. Since they were experiencing a great deal of success, they didn't change their sound at all, they just kept churning out the same heavy boogie. 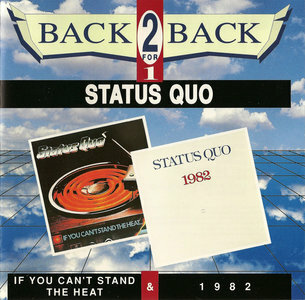 America basically ignored Status Quo, yet their eponymous album managed to chart at 148 in 1976. 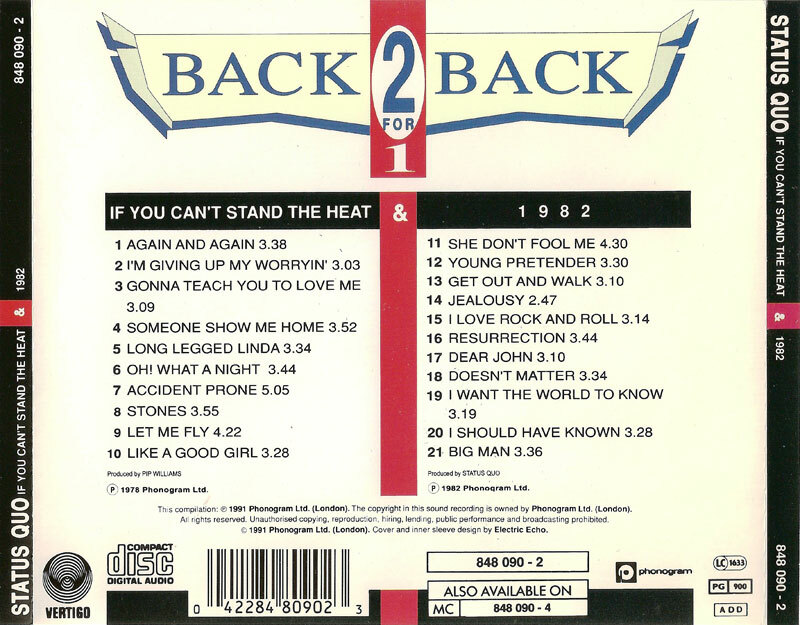 Nevertheless, they were an English phenomenon, and England continued to support them even when pop music was undergoing drastic changes in the late '70s.